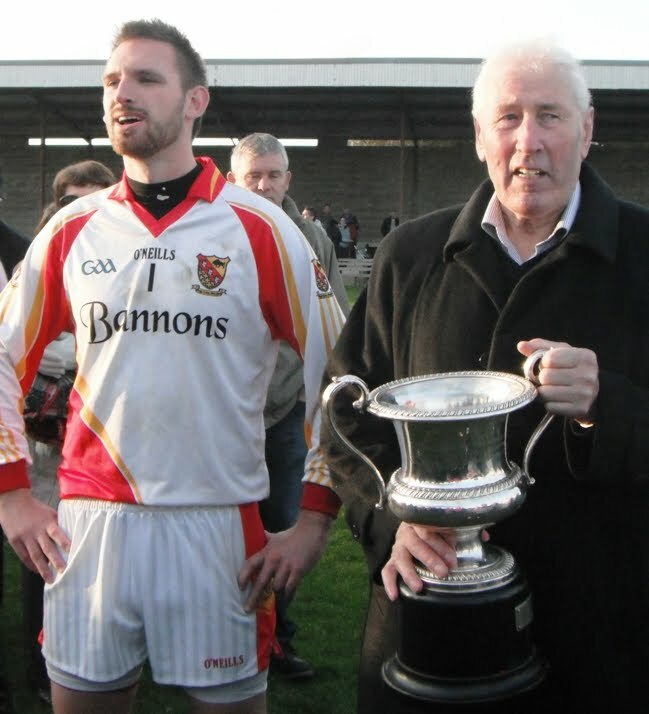 Moycarkey-Borris captured their 2nd ever County Intermediate Football title thanks to a 2-9 to 1-8 victory over Upperchurch-Drombane at Holycross on Saturday. Moycarkey got off to a good start with goals by Paudie Doran and Pat Molloy to take an early lead. Upperchurch rebounded well from this set-back and scored a goal of their own to leave just 3 points in it at the interval, 2-6 to 1-6. The second half was a low scoring affair with both sets of defenders on top. The first score of the second half took 11 minutes to arrive as Upperchurch scored a free to reduce the deficit to just two points. Pat Molloy responded within a minute with a left footed point from play and with 15 minutes remaining, a goal still separated the teams. Upperchurch added another point, this time from play in the 46th minute and again, it was Pat Molloy who got the equaliser, this time with his right foot in the 49th minute. Upperchurch piled on the pressure in the last 10 minutes, looking for the goal which would get them back in to the game. When the goal opportunity did arise for Upperchurch, Moycarkey goalie and captain Daniel Kirby pulled off a good save to preserve his team’s advantage. With the game in injury time, Pat Carey won a free on the 13 metre line and Kieran Morris duly scored the insurance point from the free. Soon afterwards, the final whistle went and Moycarkey-Borris were crowned County champions and booked their place in the Munster Club Championship in 2 weeks as well as the 2013 Tipperary Senior Football Championship.